The Minnesota Campsite has a pull-thru site for your RV. There is also space on the site for tent camping. 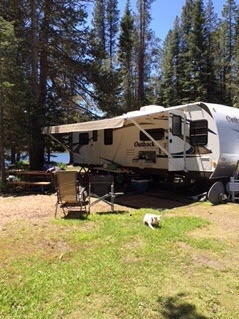 This site will hold any size RV. Water is available at the site. 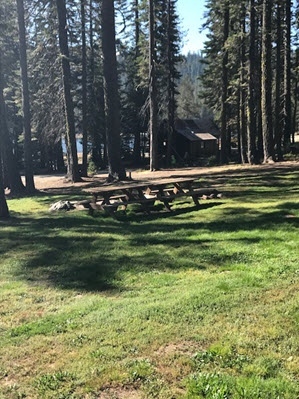 Site also has a picnic table and campfire with great views of the lake! 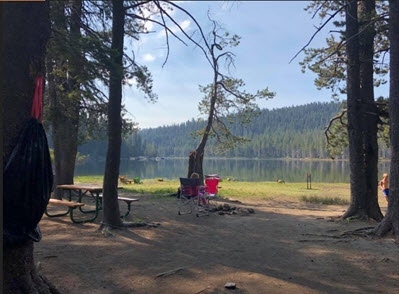 Contact us today to check the availability of this campsite at Bucks Lake Camp & RV Park. This is a tent only site. There is space for 1 large or two regular size tents. This is a very shady site with picnic table and fire tub. 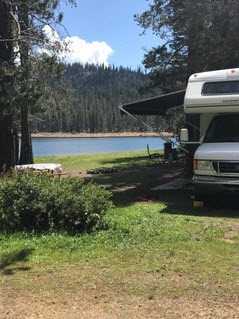 This site is for RVs and/or tents. This is a large area which allows for a mixture of tents and RVs at the same time. Water is available in the site. 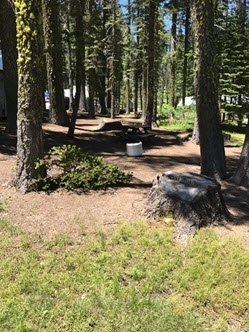 Picnic tables and campfire also available in site. This is a tent only site. 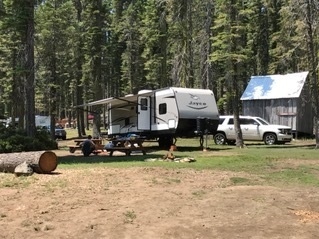 Water is available in the site along with picnic table and fire tub. 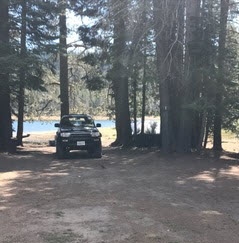 This site can hold 1 large tent or two smaller tents. This site works for RVs and tenters. Campers enjoy peaceful mornings while being on the lakeshore for water activities. 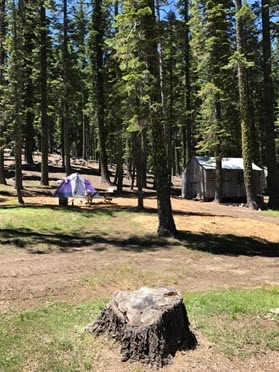 Bucks Lake Camp has 5 waterfront sites. 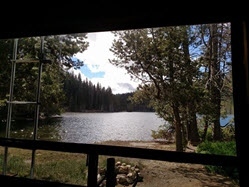 Our water sites can be used by any size RV and/or tents or a mixture of both. Early in the year when the lake is full, the water is literally out your back window. Our group site can hold 4-5 RVs, depending on length. There is also room in the group site for tents in addition to the RVs. Approx. 25 people is the max number of people for this site. This site has its own beach area.